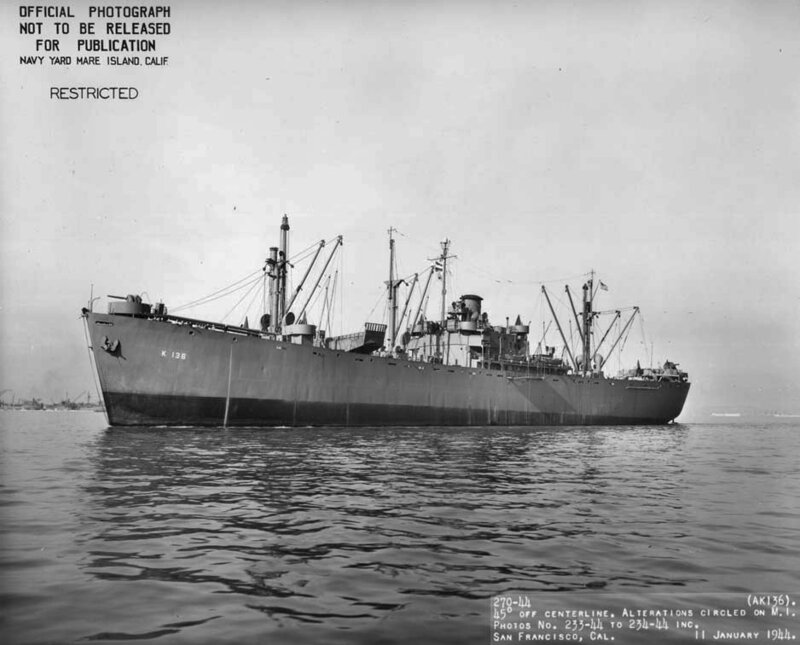 Laid down, 17 July 1941, as SS Daniel Boone, a Maritime Commission type (EC2-S-C1) hull, under Maritime Commission contract (MCE hull 69) at California Shipbuilding Corp., Wilmington, CA. 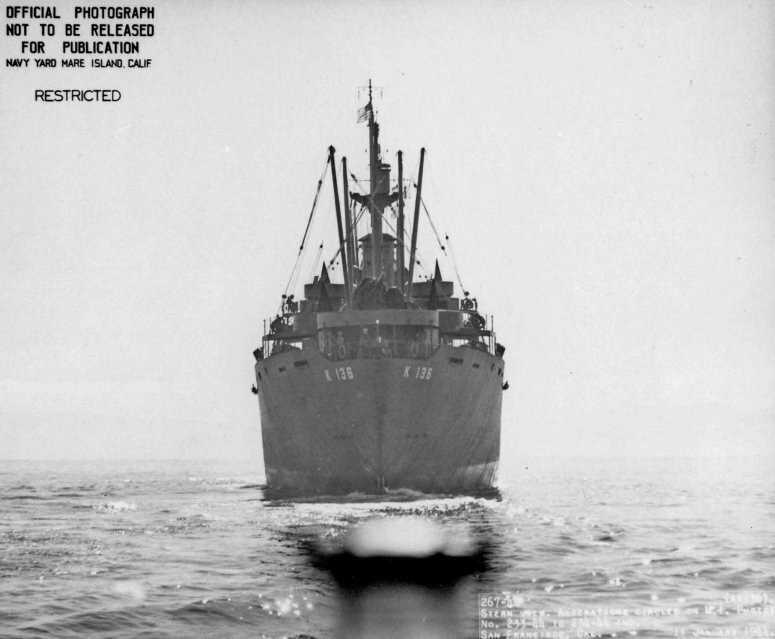 Completed and delivered, 15 April 1942, to the War Shipping Administration for operation under GAA contract by American Hawaiian SS Co.
65k Stern view of USS Ara (AK-136) off San Francisco, CA., 11 January 1944. 71k Broadside view of USS Ara (AK-136) off San Francisco, CA., 11 January 1944. 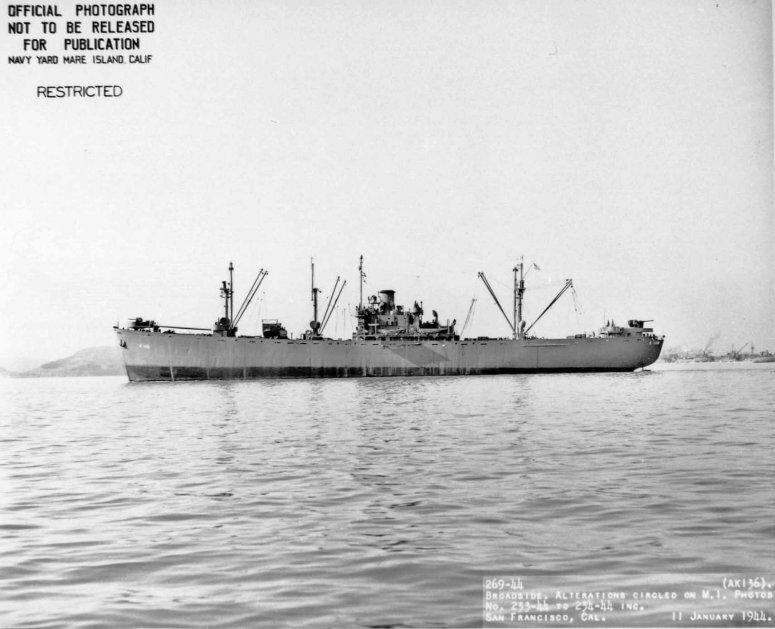 81k USS Ara (AK-136) off San Francisco, CA., 11 January 1944. 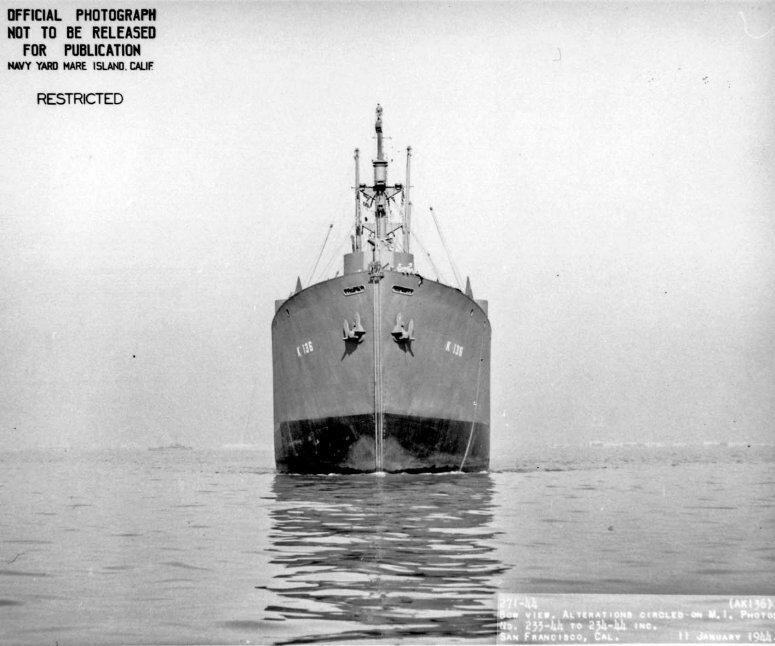 75k Bow on view of USS Ara (AK-136) off San Francisco, CA., 11 January 1944.